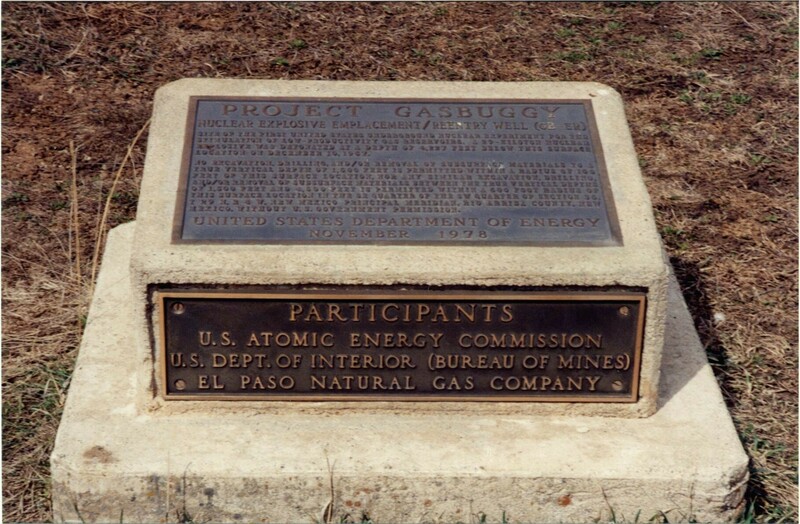 The Gasbuggy Nuclear Test Site is the location of a 1967 underground nuclear explosion, conducted to test the viability of using a nuclear device to aid in natural gas extraction. 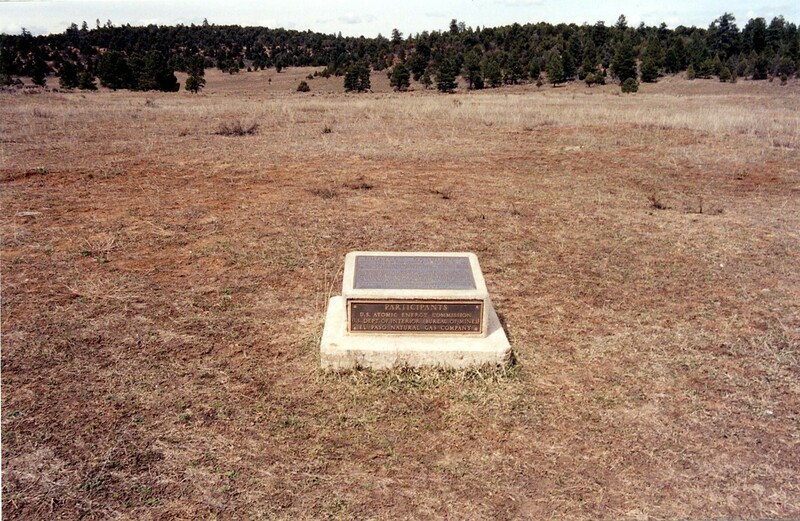 It was part of the Plowshare Program, the program to develop peaceful uses of nuclear weapons, and was the first use of a nuclear explosion for industrial purposes. The test was overseen by the San Francisco Operations Office of the Atomic Energy Commission, and was conducted by the Lawrence Radiation Lab (later to become the Lawrence Livermore National Lab) in conjunction with the El Paso Natural Gas Company. Called "gas stimulation," the technique has been used employing conventional explosives, and it was hoped that a larger nuclear explosion would be capable of opening up gas deposits which are not otherwise economically viable. The test called for a 29-kiloton nuclear device to be placed at the bottom of a 4,240-foot deep shaft drilled in a "tight" shale formation known to contain natural gas. To a large degree the experiment went as planned: the underground cavity produced by the explosion, 80 feet wide and 335 feet high, filled with natural gas from the fractured surrounding rock. However the gas was too radioactive to be commercially distributed by public utilities.